Gut Reactions is a horror based podcast from host, Eric Skwarczynski. Skwarczynski talks about his discovery of the horror genre and how the creation of the podcast started. While you’ll hear on our second part of this crossover, Gut Reactions is no longer producing content. They’ve covered a whole array of horror-based topics including Jaws (1 & 2), Sequels in Space!, Friday the 13th: Part VI & more. When podcasts leave, there’s no telling how long the RSS feed will live on. We can not recommend this show enough. After Halloween III: Season of the Witch failed to redirect the franchise into anthology based stories, Michael returns. This time, he’s not after Laurie Strode. Rather her only daughter, Jamie Llyod, who is now living with her foster family following her mother’s death. Paying homage to the original two films in the franchise, while moving the mythology of the franchise forward. Danielle Harris is an actress that some more mainstream cinephiles might know her as Annie from the Rob Zombie remake duology, Halloween. Where most people know her from is actually where she got her start. Early in her career, Harris led this underrated entry in the Halloween franchise. 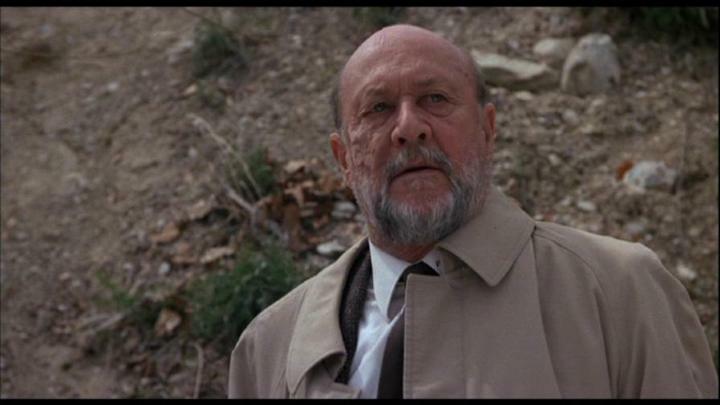 By the time this film came out in the late 1980s, Donald Pleasance had played Dr. Sam Loomis for nearly ten years. In the mythology of the character, that same ten years has passed. It’s introduced us to a more broken and weathered version of the beloved doctor. Pleasance knocks it out of the park with this new interpretation of the character. As you’ll hear in this episode, the fourth chapter into the franchise walks the line between grounded and the fantastical. Does the supernatural work for this franchise though? Leave your thoughts on this below. Music by Logan McElroy and Shawn Davis. The X-Files & the Predator are properties of Fox. We do not own nor claim any rights. The Flash & Man of Steel are property of Warner Brothers & DC Comics. We do not own nor claim any rights. Networked by That's Entertainment! Halloween 4 is property of Galaxy International/Fox. We do not own or claim any rights.